Slack is today’s go-to tool for ongoing conversations. It’s not only useful for informal chatting but also to make information flow quickly. If you’re a user of our Starter, Pro or Enterprise plans, go ahead and integrate your itopia account with Slack to post important notifications and update your team about important changes within seconds. 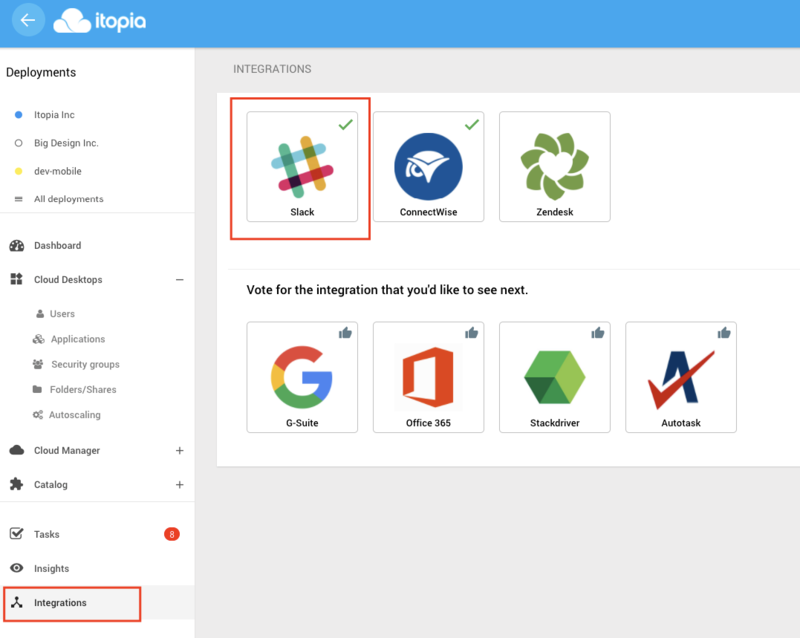 Try out itopia’s integration with Slack in your account, or sign up for free! In order to notify your team via Slack channel, connect your itopia account to Slack. 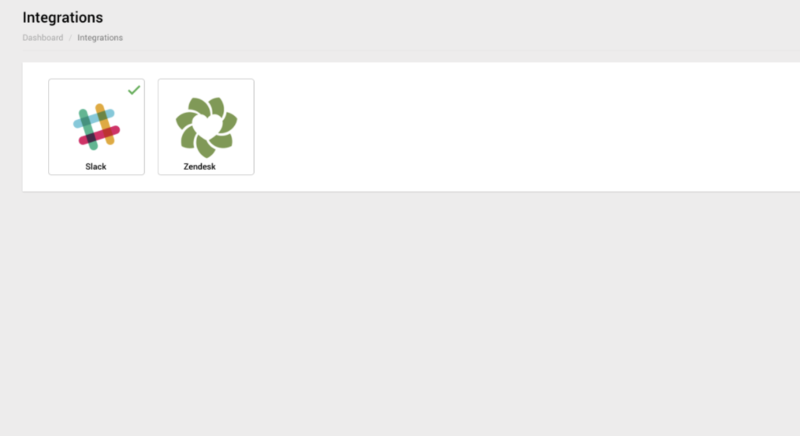 Open “Integrations” section from your itopia account and just click on “Slack” icon. Type your team name as suggested in the next screen and hit “Continue”, then provide your email and password. Next, you will get few settings options that you can configure for your team. When you selected the settings, click on “Save”. Your Slack account will be now integrated with itopia so you can post notifications and messages from itopia portal to your Slack channels. All notifications are automatically generated due to events triggered by our system and based on the configurations you previously set up in the "Notifications" section. A message is posted to notify the creation of a new deployment. A message is posted once a deployment is deleted. 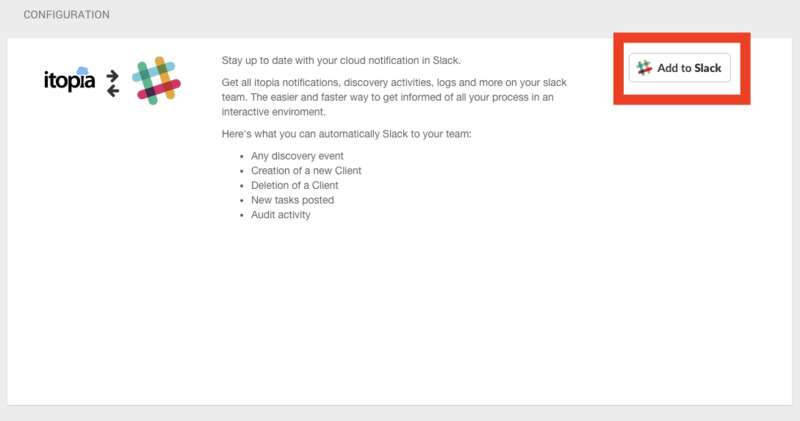 When a task is generated by the system, a notification is posted in Slack. Once a Task is completed a message is posted in slack. Track the discovery activity as messages into Slack. All actions executed by admin users, also called Audit Logs, can be posted in slack as message notifications instantly.